For the first time, the training will be held in italian with the support of the book “Il Futuro Benedetto dal Passato”. Kris and Alessandra welcome you for the 1st Seminar in Italy in Rome. The training can be done by anybody. It will particularly appeal to holistic practitioners, healers, metaphysical students, architects, designers, landscapers, artists, Feng Shui consultants, farmers …. indeed anyone interested in understanding and affecting the invisible levels of life, for their well‐being and those around them! The first benefit of learning BioGeometry is the expanded worldview it gives. Its concepts shed new light on life in terms of the vast interactions of energy and qualities, both at the tangible levels as well as the hidden subtle energy levels. The training can be done by anybody. It will particularly appeal to holistic practitioners, healers, metaphysical students, architects, designers, landscapers, artists, Feng Shui consultants, farmers …. indeed anyone interested in understanding and affecting the invisible levels of life, for their well‐being and those around them! There are many practical applications. Level 3 techniques are ideal for those n architecture, design or art, as they enable the creation of designs that emanate harmonious qualities, be it a house or a logo. ‐ The Spiritual Carrier Wave. ‐ How to detect, generate and use the BG3 qualities. ‐ Shapes, patterns and numbers used in BioGeometry that harmonize and transmute energy. ‐ Various uses and research projects of BioGeometry. Practicals include:‐ use of the neutral pendulum; detecting and working with our personal wavelength, testing food etc for affinity / compatibility; and more. In this Level we learn hands‐on techniques of physical radiesthesia which enable you to detect and work with energies. We will also address some powerful BioGeometry solutions for everyday life. ‐ BioGeometry alchemy, protecting from detrimental energies by transmuting them. ‐ Egyptian scepters and BioGeometery Emitter Pendulums. You receive hundreds of patterns and charts to use for helping to balance yourself or others. ‐ Using Biosignatures & Bionumerals; the Biosignature cards Practical includes Finding the Biosignatures needed for an individual; distance methods of resonating them in the energy field. One important aspect of BioGeometry is learning to generate harmonizing qualities within any design, be it a logo, product, house layout, garden, etc. Practicals include: drawing BioGeometry designs and measuring the energy; designing a logo based on your name which emits the harmonizing energy; working with energy of dolmens and pyramids and filtering the energy as the ancients did; and more! 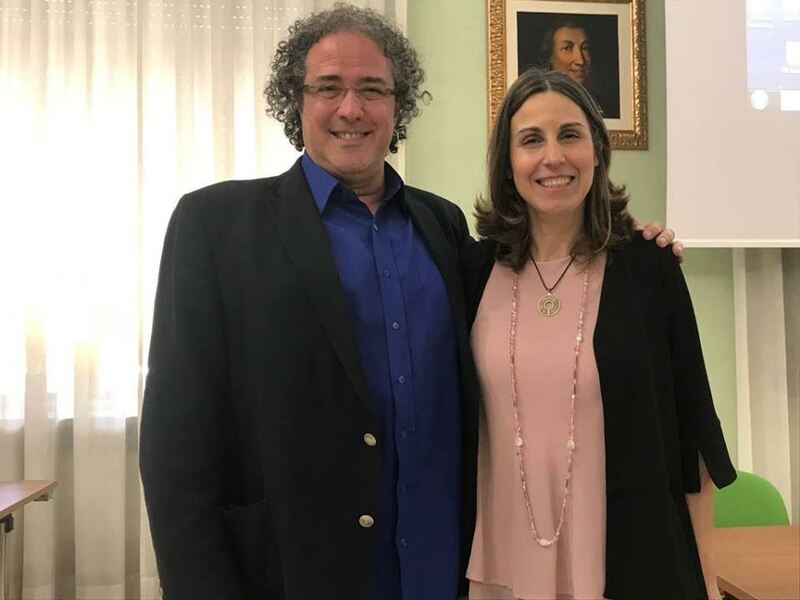 Kris Attard is a personal development teacher from Malta who has been involved in the study of ancient wisdom and holistic science for many years. He is one of the few BioGeometry Instructors in the world and the first such teacher in Europe, having trained and certified with the founder of BioGeometry, Dr Ibrahim Karim in Cairo, Egypt. Kris has been teaching since 1995 and has conducted workshops in 17 countries on intuition, sacred geometry and related subjects. His clients have ranged from public to specialised groups, including therapists, consultants and top businesses. He is also senior instructor of MindScape, a form of intuition training. Kris’ training background has included gestalt psychotherapy, BodyTalk energy medicine, Feng Shui, and various spiritual and esoteric philosophies. He is the author of the MindScape Manual and is publishing exclusive research on sacred geometry and earth energies in the ancient Neolithic temples of the Maltese Islands, of which he also organises special tours.